Watch legendary Batman creators talk shop at a 'Talks at Google' – AiPT! Frank Miller, Tom King, James Tynion IV, Sean Murphy and Tony Patrick share creative insight about one of the greatest superheroes ever. When you think about Batman, names like Frank Miller will naturally pop into your head. The man has been a part of a lot of what we see and think about the current iteration of Batman. Other names like Scott Snyder, Tom King, and James Tynion IV may also pop into your head since they’ve been writing Batman for a better part of the last decade. They’re the biggest names who have been a part of Batman’s past, present, and with the addition of Sean Murphy and Tony Patrick present for the Batman mythos. Oh, and now they’re all together in one place talking all about Batman! 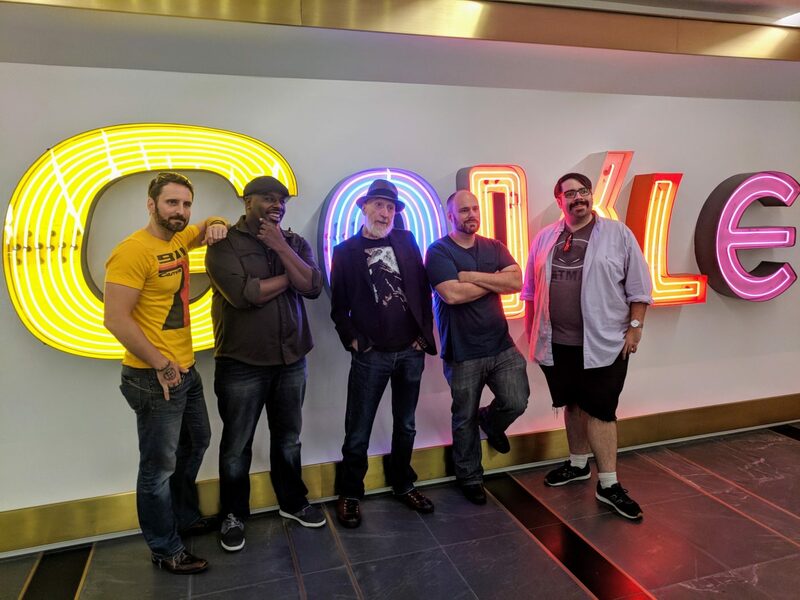 The recently released “Talks at Google” video “NYC’17 Comic Con Panel: “Over 75 Years of Batman” has creators Frank Miller, Tom King, James Tynion IV, Sean Murphy and Tony Patrick talking all about the character with some surprising must see thoughts on the character.